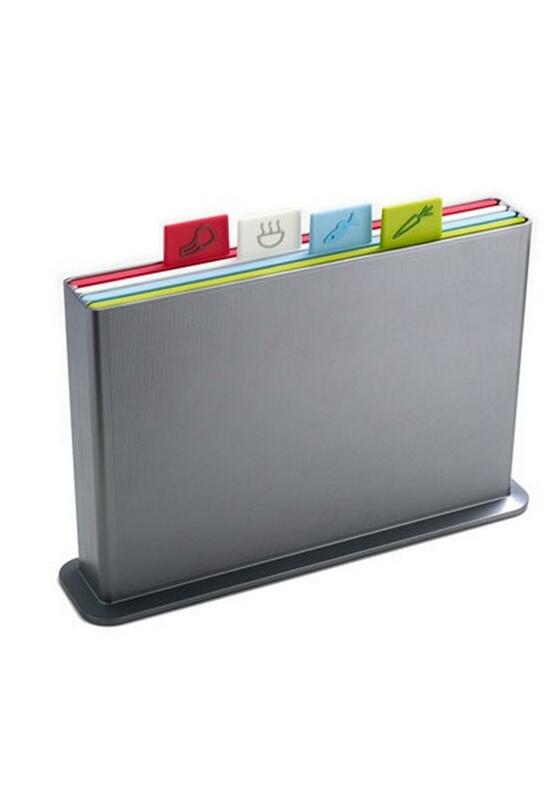 Index Advance chopping board features a categorisation system designed to reduce the likelihood of cross-contamination of different food types. 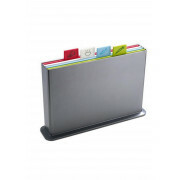 Its four large, colour-coded chopping boards now boast convenient, non-slip feet on both sides and index-style tabs with contrasting, soft-grip illustrations, ensuring the boards are even easier to select for each food type. In addition, the surface of the storage case now sports a subtle, embossed grid texture and a darker silver hue, making the whole unit even more stylish and desirable.